Rittal at the Hanover Trade Fair 2019 | Rittal - The System. At the Hanover trade fair (Hannover Messe) 2019, Rittal will be presenting the benefits generated by new and enhanced system products, digital processes and an appropriate infrastructure. One of the highlights is the unveiling of a new generation of compact and small enclosures. Industrial intelligence requires seamless connections between people, machines and data. At its 1,550 m² stand at the Hanover trade fair, the world’s leading provider of solutions for enclosures, power distribution, climate control and IT infrastructure, as well as corresponding software and services, is spotlighting the opportunities created by end-to-end digital integration: beginning at an Industry 4.0 marketplace, visitors can discover through dialogue how Rittal is interpreting this year’s trade show theme, “Integrated Industry – Industrial Intelligence”, to the benefit of its customers. “Our digitalised product portfolio and direct interaction with visitors drawn from all industries are the ideal basis for in-depth discussion of how to best achieve process efficiency,” states Uwe Scharf, Managing Director, Business Units and Marketing. Rittal technologies are deployed in more than 90 per cent of all industries worldwide. The Hanover trade fair will also witness the unveiling of entirely new products: “We have understood the new imperatives of digitalised industry, and developed a new generation of compact and small enclosures in response. Our core products are being entirely redesigned, to be fit for Industry 4.0,” explains Uwe Scharf. The launch of the new small and compact enclosures marks the digital transformation of a standardised product that has been made by Rittal for more than 50 years: 35 million units of the AE have been manufactured, making it the most popular compact enclosure in the world. It is regarded as the original, and the first-ever mass-produced industrial enclosure. Now, Rittal has addressed the evolving needs posed by the digital era, and created a completely revamped and rethought system product. Customers benefit from new functions that streamline and accelerate their value-creation processes, while improving flexibility and reliability. In Haiger, in the German state of Hesse, Rittal has built an entirely new facility for production of the latest compact enclosures. The single largest investment in the company’s history, totalling 250 million euros, has established the world’s most advanced factory for compact and small enclosures, in line with Industry 4.0 principles. The highly automated facility will be integral to seamless order management and fulfilment, ensuring the continuous availability of standard products and corresponding accessories. 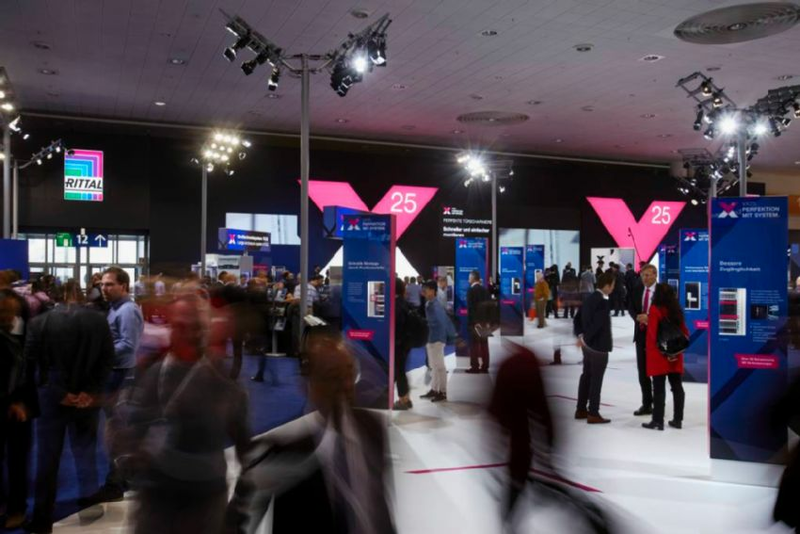 Visitors to the Rittal stand will discover just how connected, digital manufacturing processes work, and how they can leverage them for their own business success. Rittal is also to unveil recent developments in power distribution, including high energy efficiency, the high availability of quality data, and ease of configuration by means of recently released Rittal Power Engineering software.